Burnham-on-Crouch is a town in the Maldon district of Essex. 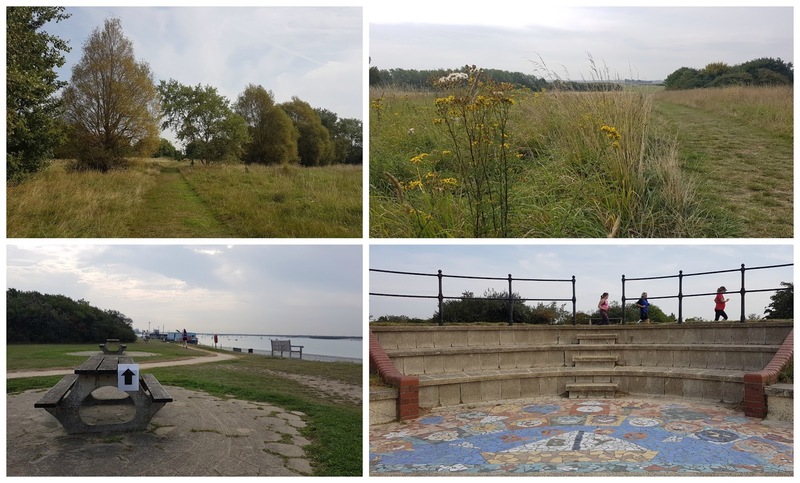 It lies in the Dengie Peninsula which is formed by the River Crouch, Blackwater and the North Sea. The soil on the peninsula is rich which makes it ideal for farming, in fact some of the oldest and largest vineyards in the UK are found here. The town itself has a population of around 7,500 and the wider peninsula is home to around 20,000 in total. At the eastern end of the peninsula is the 3,105 hectare, tidal mudflat and saltmarsh, Dengie Nature Reserve which is (deep breath)...... a 'Site of Special Scientific Interest', a 'National Nature Reserve', 'Special Protection Area', a 'National Conservation Review' site, a 'Geological Conservation Review' site, a 'Ramsar Site', and part of the Essex estuaries 'Special Area of Conservation'. Burnham-on-Crouch is found, unsurprisingly, on the banks of the River Crouch. The river has always been key to the prosperity of the town, first as a ferry port, and subsequently for fishing and oyster farming. The Crouch Oysters were famous across the country and beyond during the 17-1800s with the Burnham Oyster Company being one of the town's major employers. In modern times it has become a centre for yachting and you'll find many yacht and sailing clubs in the town. Since 1893 there has been an annual yachting regatta known as Burnham Week and out of pure coincidence our visit here happened to fall on the first weekend of the regatta. After driving for about an hour from Dartford we arrived in the town and made our way to Riverside Country Park where we parked in the free car park just past the Dengie Hundred Sports Centre. 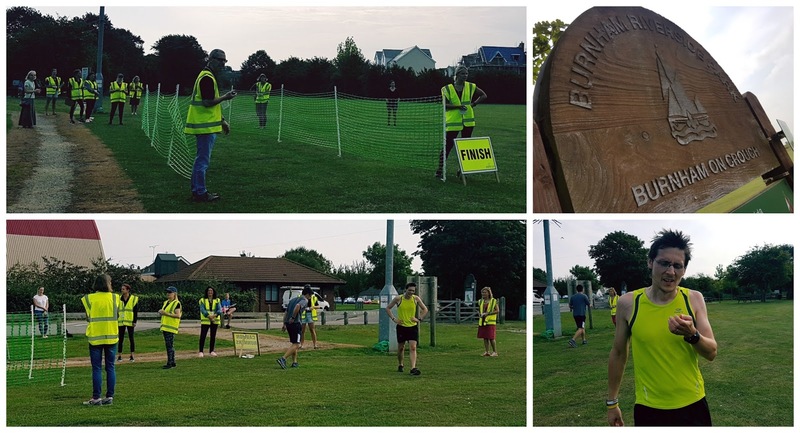 The country park is the venue for Burnham-on-Crouch parkrun. 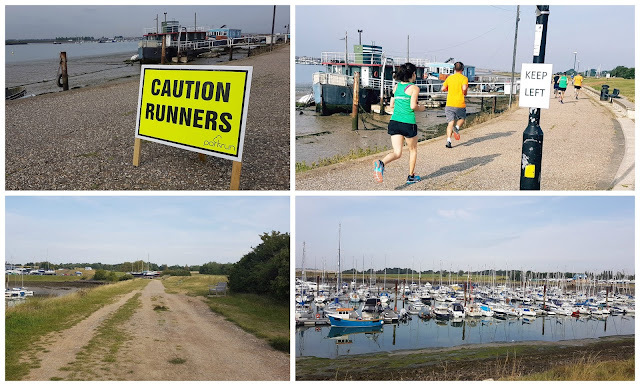 It is the second parkrun located within the Maldon District - the other being Maldon Prom parkrun (blog here). Had we decided to use public transport we could have travelled by train to Burnham-on-Crouch Train Station which is only fortunate enough to still be in existence as the line was previously used to supply the now-decommissioned Bradwell Nuclear Power Station. The train station is a short walk away from the venue and the toilets (open from 8am) can be found right next to the start/finish area. The run starts on the grass playing field opposite the sports centre and Burnham Rugby Club, and is made up of two, mixed terrain, clockwise laps. It's generally flat but has small changes in elevation. For shoe choice I went for trail which were a bit over-the-top in the summer, but in the winter they'll come in handy. The briefing takes place on the grass at the start area and the runners then assemble on the start line before being sent on their weekly 5 kilometre trot around the park. 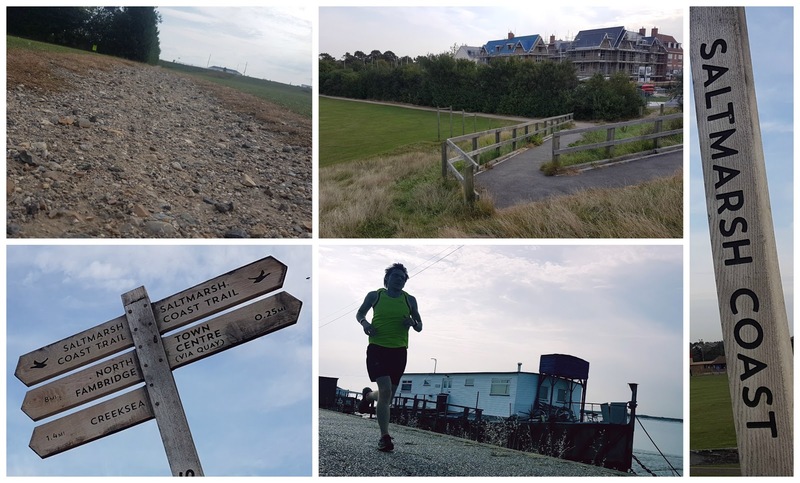 From the start, the run heads off around the grass field until it reaches the zig-zag path that leads up onto the Saltmarsh Coast Trail river path. Here the course heads westwards past the moored house boats. It's important to keep left along here (especially on lap two) as this section contains a short contraflow of parkrunners. At the same time the river edge has no railings so be careful. After 0.6km (3.1km second time around) the course bears around to the right and the participants run adjacent to the Burnham Yacht Harbour which has berths for 350 boats. Continuing northwards and deeper into the park, the elevation ever-so-gently rises as the course passes through wildlife habitats and wildflower meadows. Underfoot here were slightly-rutted-in-places mown grass paths which I suspect could get a little muddy in the minter. The long grass in the meadows are home to Adders and the advice is to avoid walking in the long grass during the spring when they are coming out of hibernation (not a problem for the run, but bear it in mind of you go for a walk afterwards). After running the loop through the meadows, the course pops out on the open grass field adjacent to the yacht harbour path, which is known as 'The Plateau' - I found this area was particularly popular with dog walkers and there were quite a few big dogs running around. The course is marked with cones along here and it passes through a picnic area next to the small riverside amphitheatre before joining the contraflow section of the river path. The course turns away from the river immediately after the fire beacon and follows a stony path which contains a few twists and a very sharp turn that take the runners past the skate park and multi-sport courts. Finally the course heads back onto the sports field where the halfway point is reached. An identical lap is run and the 5 kilometre course is complete. Barcode scanning takes place at the finishing line and once all participants have finished. the team move onto their post-run coffee venue 'Happy Returns' which is outside the park on Station Road. We had already decided to have a day out in the town so had brought a packed lunch, and we found a nice spot in the well-equipped playground to eat it while our daughter played. 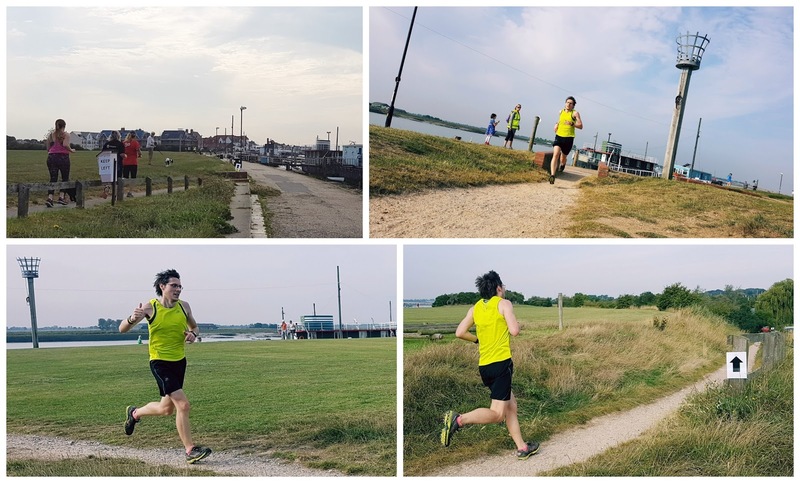 The results for event 6 were soon processed and my result notification came through as we were eating where I saw that 52 people had taken part which was slightly lower than the average to date. I recorded the course data using my Garmin and you can view the course in further detail on Strava - Burnham-on-Crouch parkrun GPS data. I also generated a fly-by video using the #relive app and you can watch that on youtube - Burnham-on-Crouch #6 relive video. Afterwards we headed off to the independently-owned two-screen Rio Cinema which has been in operation since 1931 in the definitely-not-art-deco purpose-built building on Station Road. The entry-fee was £3 per person and they have many of the latest films on the bill. It was very different from the modern-day cinemas and they even had comfy sofas at the back which we used - you could say that we were in Burnham-on-a-couch (or even in Burnham-on-Crouch-on-a-couch)!